Anticipating the great amount of interest in Tolkien’s writings due in part to the major theatrical movie release in late Fall on his classic The Lord of the Rings, this highly readable collection of writings celebrates J.R.R.Tolkien’s great literary legacy and the spiritual values that undergird his imaginary Middle-earth. Tolkien: A Celebration includes personal recollections by George Sayer and Walter Hooper, and many fascinating pieces by authors such as James Schall, S.J., Stratford Caldecott and Stephen Lawhead, exploring the threads of inspiration and purpose in his major works. These dip into subjects such as The Sense of Time in Lord of the Rings, Tolkien: Master of Middle-earth, and Tolkien, Lewis and Christian Myth. Fourteen writers contributed to this insightful work on Tolkien, and it will be much-treasured by those who regard him as a literary hero. 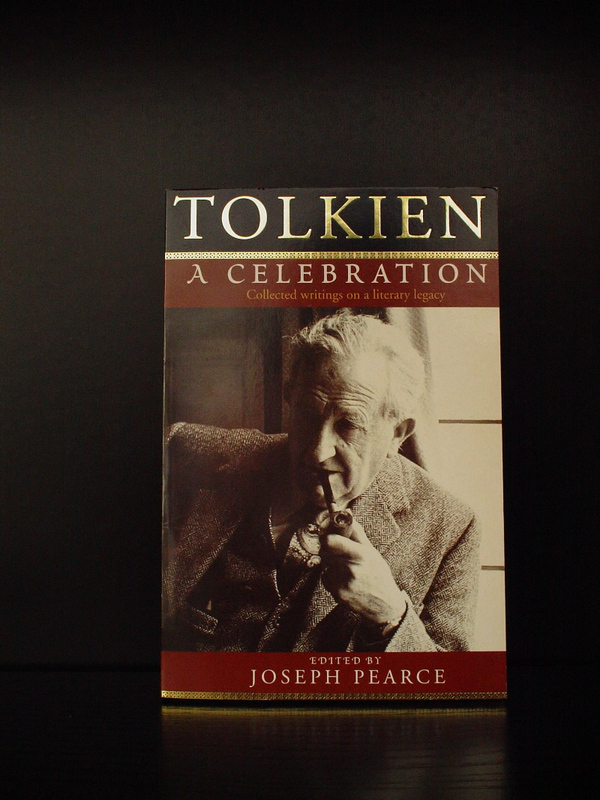 "Tolkien: A Celebration" consists of 15 essays by different authors, edited by Joseph Pearce (author of another mediocre book on Tolkien). For the most part, the essays are non-scholarly-- they are more like short, off-the-cuff, reflections than serious scholarly analysis. Most of the essays deal in some way with the "religious" aspects of Tolkien's fiction-- and most of those approach it from a specifically Roman Catholic persepctive. This is a legitimate subject to write about, of course, but it's been done to death before (and better!) by Carpenter, by Kocher, by Kilby, by Flieger, and by a host of other critics. These essays really don't add anything new to the body of Tolkien scholarship-- no new ideas, no new interpretations, no new evidence. The same is true for most of the non-religious-themed essays as well. Patrick Curry's "Modernity in Middle-Earth", for example, is basically a six-page summary of his own book on the subject, while Elwin Fairburn's "A Mythology for England" is essentially a recap of points that have been made again and again and again by previous scholars (especially Carpenter, and even more Jane Chance who wrote a whole book called "Tolkien's Art: A Mythology for England"). In truth, the only two items of genuine interest here are the "personal reminscences" by George Sayer and Walter Hooper, who talk about their experiences meeting Tolkien, working with him, etc., They're not rigorous scholarship, nor do they present a radically different picture of the man than Grotta-Kurska's and Carpenter's biographies draw, but they do offer up a few worthy anecdotes. Still, they're hardly essential reading for either the Tolkien scholar or fan. This is light reading about Tolkein from a mostly Catholic perspective. If you want heavy duty scholarship, this isn't the book, but if you want something to read with the morning coffee I really recommend it.